Smugglers have been spreading false rumors about lenient U.S. policies to drum up business for themselves, convincing parents that after their children turn themselves into the Border Patrol, they will be allowed to remain in the country if they can furnish the name of a relative already in the U.S. More than 52,000 unaccompanied minors have been apprehended at the border since the start of the year, more than twice last year's total of 24,000. 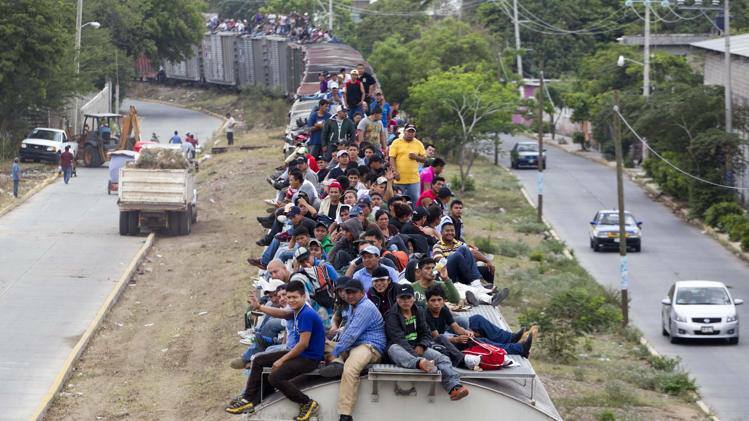 The Obama administration has not looked south of the border at failing states. Human rights experts estimate that 10,000 undocumented immigrants are kidnapped every year during their passage through Mexico. Mexico is legally obliged to guarantee the safety of these migrants. Should Mexico close down the border crossing at the Suchiate River? what's that poem? one of Yeats' "the Beast slouching towards Bethlehem " and that "widening gyre"